It pays to find out how you can prevent damage and wear and tear in the future, rather than waiting for it to happen and then resolving it. Why not call us for some advice about how you can ensure that your vehicle keeps running smoothly? As well as motor repair services, we provide helpful and easy to follow advice that will save you in the long run. Our promise to you is to recommend the best products and services to have your car up and running in no time. We understand how much you rely on your vehicle to get you to the place you need to go, on time and without hassle. Whether you need a tune up or motor repair, we are dedicated to providing a range of quality services to get you back behind the wheel on budget and on time. 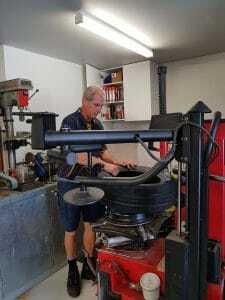 For motor repair in Pacific Pines, be sure to see us to get your car back to perfect condition. We look after everything from bumper to bonnet. We make sure that everything is running smoothly, and run extensive diagnostic tests so that, you can rest assured that your vehicle is in good working order. Once we're done with your vehicle, it will be running like new! Hahn Auto's's qualified motor engineers use only the highest quality equipment and parts in their repairs. Your comfort and safety is our paramount concern, and so we never do a job that we cannot complete properly. Shady repairs and slapped together jobs put your safety at risk, which is completely unacceptable. When you call us, you know that you are dealing with a company that will put your safety first. I can source quality tyres for most makes and models at an affordable price. Just give me a call or email me with the size you require. Quality repairs from someone you can trust. My general hours of operation are between 0730 hrs until 5.30 pm. However I am often at work outside of these hours so if it is urgent just give me a call.